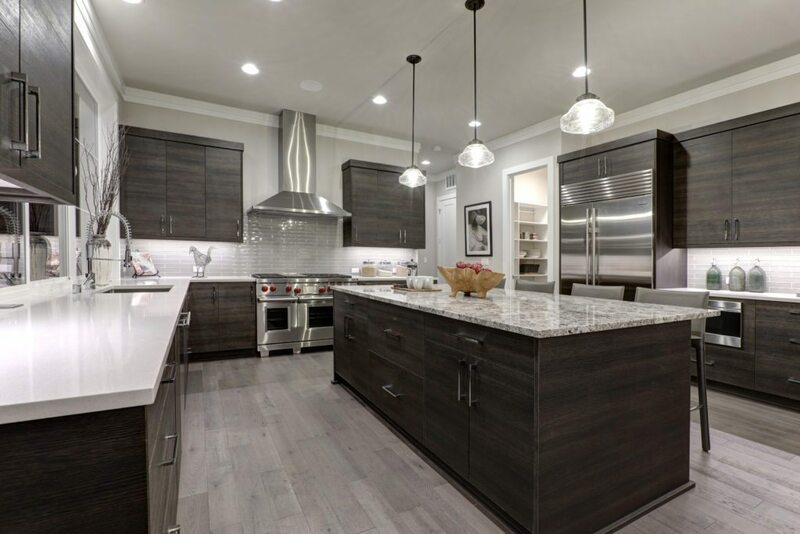 Top kitchen trends include quartz countertops, LED lighting, reclaimed wood, concealed appliances and steel windows. The kitchen is, by far, the most influential room in a home. As you know, it’s the room prospective buyers gravitate toward and can often be the determining factor in whether or not a full-price offer is made. But do you know the latest and greatest kitchen design trends of this year? 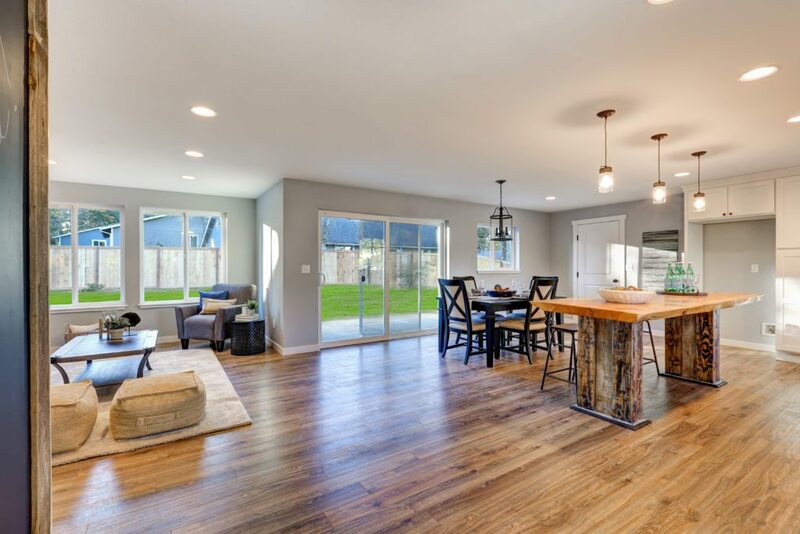 There’s a difference between renovating your kitchen with the purpose of living in it for a few years and renovating with the goal of putting your house on the market. In the latter situation, the homeowners’ design preferences are somewhat irrelevant. Homeowners who want to sell, should make design choices with mass appeal in mind. In high-end kitchens all over the country, you’ll notice that granite countertops have been replaced by quartz. Whereas granite can easily be stained, quartz is non-porous and highly resistant to staining and bacterial growth. On top of that, it looks absolutely gorgeous. It comes in a variety of styles and colors and often resembles granite, but without the negative characteristics. There was a time when kitchen appliances were the focal point of the kitchen. Stainless steel refrigerators and dishwashers were what buyers looked for in a modern home. Gone are the days where bright overhead lighting was the primary light source for kitchens. 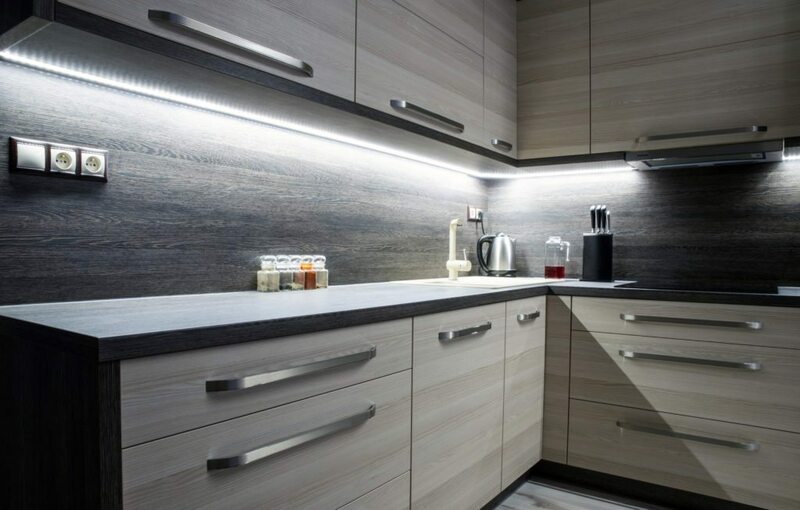 Today’s most luxurious kitchens are using under-cabinet LED lighting to accent features and provide sophisticated ambience. Not only can the brightness of these lights be changed, but in many cases, the color and hue can be adjusted as well. And because the light strips are so thin, you won’t even notice they’re present. Steel windows are officially in. They’ve long been used in industrial settings, but some of today’s most luxurious and fashion-forward kitchens are using steel to turn windows into statement pieces. One of the hottest trends is to install floor-to-ceiling steel and glass windows for a modern and sophisticated look. Other homeowners simply choose to replace existing double-hung windows with fresher steel options. Reclaimed materials are totally in right now. Not only do they add character, but they also appeal to homebuyers who are big on sustainability. One really prevalent trend is the use of reclaimed wood. You don’t want to go overboard, but a nice accent wall or unique kitchen island can add an attractive flare. When combined with metal or exposed pipe, reclaimed wood creates that posh, industrial look that many homebuyers desire. The kitchen can be a huge selling point for a home. Thankfully, it’s also one of the highest returning rooms. Homeowners can expect to get most — if not all — of the money they put into a kitchen facelift back at closing, so now’s the time to get serious about a renovation.